Testing of Apple's next-generation software platforms continues to move along, as developers on Wednesday were provided with the third beta releases of iOS 9, WatchOS 2 and OS X 10.11 El Capitan, ahead of their anticipated release this fall. 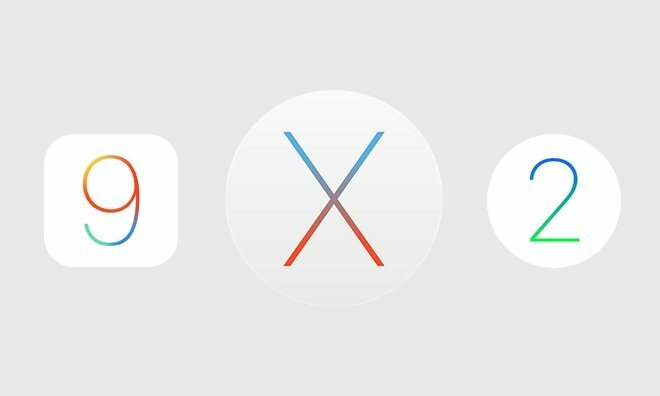 All three beta releases are now available to download through Apple's developer portal. The pre-release software is intended for testing only, and should not be installed on machines required for daily use. The latest beta build of El Capitan is identified as 15A216g, iOS 9 is build 13A4293f, and WatchOS 2 is 13S5293e. A number of known issues remain with the pre-release software. In iOS 9, AirPlay continues to be unreliable when sending audio or video to an Apple TV. Authentication is also an issue, as users could be prompted twice for credentials when making their first in-app purchase and might not be able to reset their Apple ID password using iForgot. Issues in the Bluetooth stack can cause some Bluetooth headsets to be unable to receive calls, while turning off a vehicle that still has an iOS device connected to a CarPlay head unit could cause the device to become completely unresponsive. Family Sharing— which was removed in iOS 8.4 and will return with iOS 9— remains a work in progress, as does HomeKit. Apple also continues to warn beta testers to create an encrypted backup as the HealthKit database could be inadvertently deleted during an update. Other areas with issues that have carried over from the previous beta include iCloud Drive, Keyboards, Keychain, Maps, Mail, MDM, Music, Photos, Podcasts, Safari, Search, Siri, Settings and the VPN. As for El Capitan, a number of known issues related to two-factor authentication are detailed by Apple in the software's release notes. Apple also recommends that developers do not update directly from OS X Lion or earlier to OS X 10.11. Issues also remain in Mail, where Time Machine backups may not restore properly, and email received before the first beta won't work with Proactive Assistant features. Finally, Apple has also warned developers that upgrades of existing iPhoto and Aperture libraries to the new Photos app will not success in El Capitan beta 3. There are also issues where the Photos app might prevent sleep, and addresses may not be visible when ordering print products. Apple does not issue release notes for watchOS releases, so what changes have come in the third beta of watchOS 2 remain unknown.